The Wood Lily is not a common flower in the Rockies and finding one is an eye-stopper. It stands alone and erect in open areas of the forest. I have spent many years hiking in the Rockies and have only found a few of these brilliant flowers. 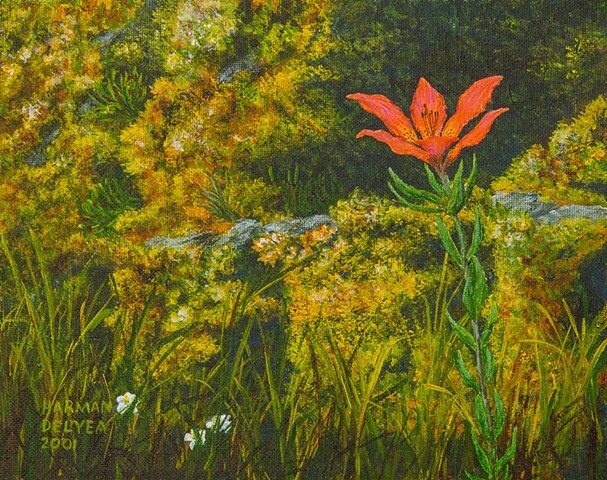 Needless to say, I had to paint this Rocky Mountain flower. Not for sale.